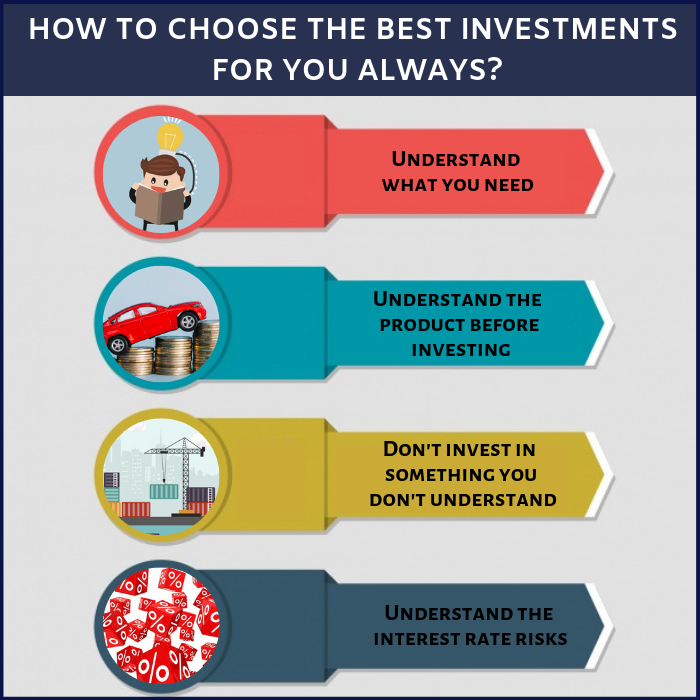 How to choose the best investments for you always? It is a type of a security whose value is derived from another underlying asset. Unit Linked Insurance Plans are the type of insurance where part of your money is invested in units that represent Shares and debt instruments and the remaining is used for your premium. 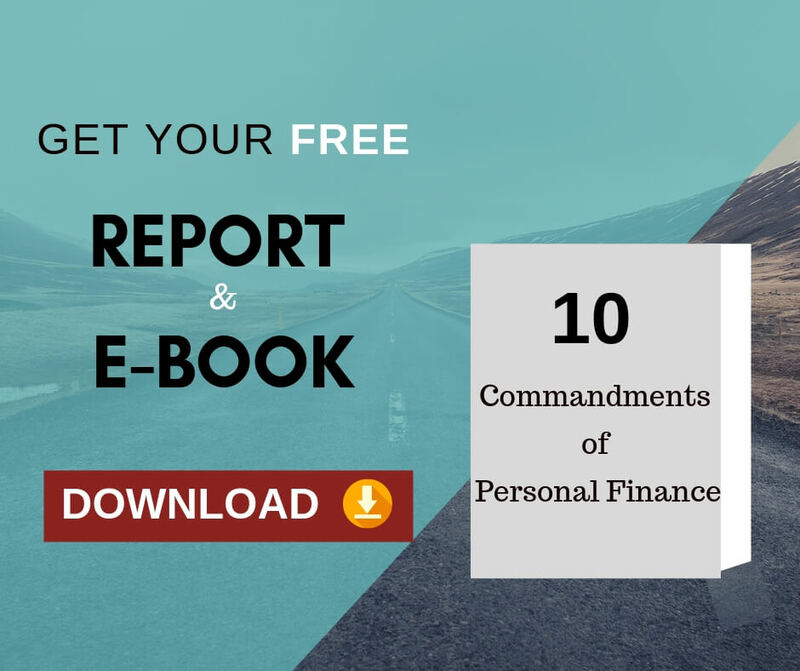 “I am always at a loss while planning my finances. With so many options and choices available, everything looks green in one second and completely in red the next second. 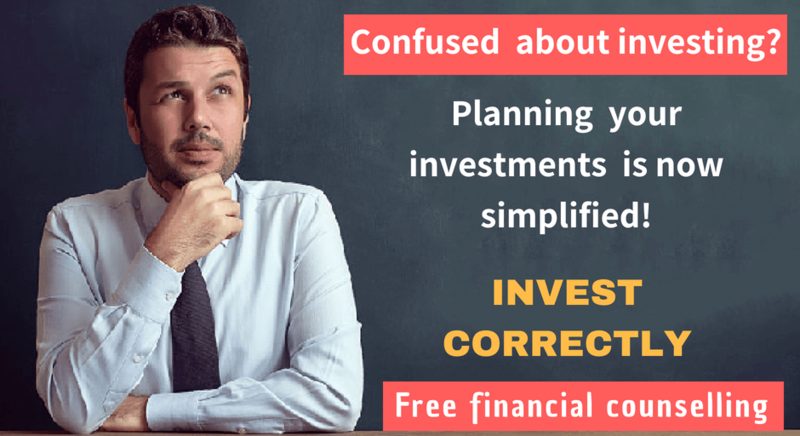 I get confused a lot on choosing the best investment option for me, what can I do about it?” Not only the beginners but also the experts get such thoughts many times. What is known as the best investment option? To be frank with you there is no “best investment option”. There is only the right investment option. The right investment option is the one that helps you meet your financial goals. Are there any criteria available to buy the right investment products? Of course yes. Read on to get clarification on all your doubts. At times, i have seen people who are not clear about what they need. When i ask them ‘what kind of investment you are looking for?’ the typical answer i get is ‘low risk with quick and high return’. How long you will stay invested? What kind of risk you are willing to take? How much you are planning to invest? How are you going to invest? Lumpsum or periodical…? This gives you clarity about what you want. This clarity helps you avoid 50% of your confusion and makes your short listing process easier. Understanding the different investment vehicles will help you avoid the balance 50% confusion gives you more clarity. What are all the charges involved in this investment? What are all the different types of risks involved in this investment? Is there any lock-in period? How long i need to stay invested to get an optimum return? How much return i can expect from this investment? What is the tax liability for the returns from this investment? Understanding is the one simple thing that can make or break your relationship with your investment as well as your spouse. Take time to understand what you need and in which you are planning to invest. Let me give you 3 examples, about how investors invest without understanding and how to correct them. Trading in derivatives is a zero-sum game. Money is not getting generated in trading. Money is getting rotated from one pocket to another pocket. Whatever the gain you make out of trading is somebody else is loss. Whatever loss you make is someone else’s gain. In investing, both the parties, buyer and seller can make money. In trading any one of the parties can make money. Also for trading in shares or derivatives, you need not pay the full value. By paying just 15% to 20% of your trading position, you are allowed to trade. So you end up taking more risk then you are afford to take risk. If the trade makes you loss, the loss can be more that what you have paid. So you may need to pay more from your pocket to cover your loss. People invest in insurance products like the highest NAV guaranteed ULIPs thinking that they have invested in risk free instruments. It is extremely essential to know how guarantee works here. ULIPs begin with the highest exposure to equity funds, then slowly move to debt funds. Upon maturity, they increase the fraction to debt funds. NAV is maintained within the pre-set level as the equity profits are transferred safely. Ok, NAV is maintained as guaranteed, what is there to worry about? Is this what you think? Please understand that the high NAV is not the same as high market value. Also, keep in mind that the investments involving equities do not guarantee assured returns. Most of the times, you invest in income funds and gilt (g-sec) funds without understanding the interest risk in it.Gilt funds are mutual funds connected with government sector securities. The income funds are the mutual funds invested in government, municipal, corporate debt funds and dividend paying instruments. You must understand the difference between credit risk and interest risk here. As gilt funds are supported by government, you almost have nil credit risk. But, the interest rate and bond prices in gilt or government security funds and income funds are inversely related. When the interest rates go high, the government security gilt funds and income funds value drops down. So you may incur losses in gilt funds and income funds. 1. Do not recklessly follow what the agent or the relationship manager talks about the products. 2. There is no guarantee or risk-free plan come along with equity investments. When you hear about ‘guarantee’ connected to any product, understand it well how it works in the market. 3. Ask questions about the interest risks, credit risks and other threats associated with the products. 4. Learn well about the key fundamentals used in calculating the stock value. 5. Educate yourself about various products like equity, debt and other investment options. 6. Always read the instructions in the brochures and get all your queries clarified before investing. Be very careful and do not hesitate to ask questions to the agents talking to you about various products. Do not blindly sign the application form because of laziness or falling victim to marketing pressures. Always remember that no supernatural number will give you an idea whether to sell or buy your stocks. Educate yourself very well before taking decisions! Education brings awareness. Awareness brings understanding. Understanding brings clarity. Clarity removes confusion and brings confidence. By understanding your requirement and the investment product you will transform from a confused investor to a confident investor. Previous Previous post: What should you do with the non-performing investments?